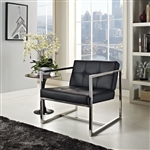 Impress your valued office visitors with modern guest chairs from OfficeFurnitureDeals.com. Our selection of modern guest seating includes fabric, mesh, and leather models from brands like Global Total Office, Mayline, and Offices To Go. 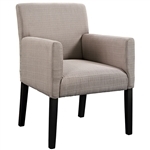 All of our modern guest chairs are available with bulk discount pricing and free shipping for added value. Rest assured, the best selling modern guests chairs at Office Furniture Deals will enhance your lobby, waiting room, and reception area with ease. Need help selecting the right modern guest chairs for your office? Contact our seating specialists today at 800-456-6746! Your Price: $241.00 + FREE Shipping! Your Price: $399.00 + FREE Shipping! Your Price: $469.50 + FREE Shipping!